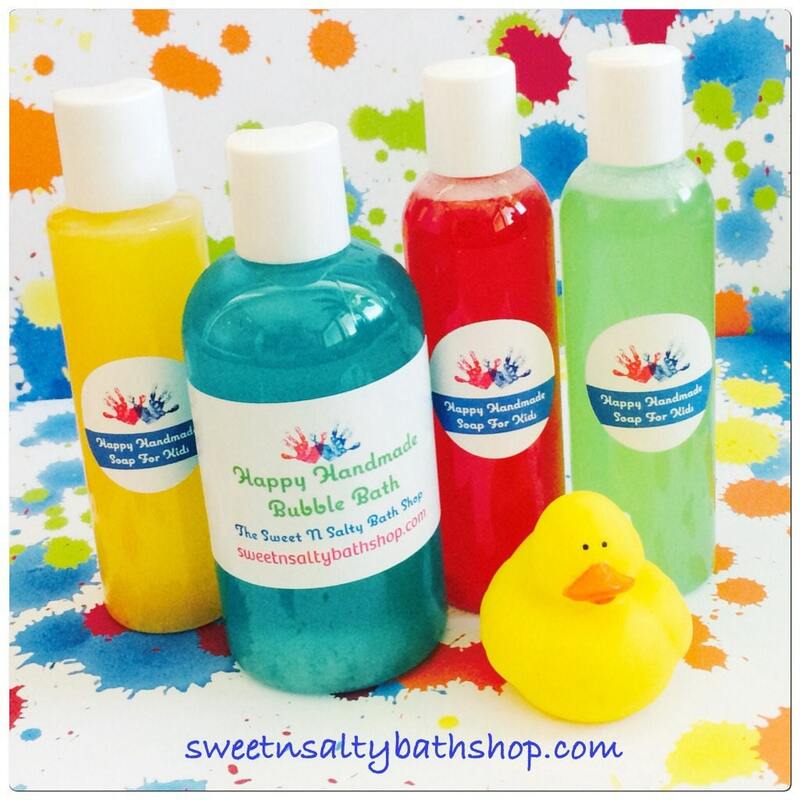 Fun Scents Happy Handmade Bubble Bath for Kids-You Choose the Scent/Bubblegum/Blue Raspberry/Cotton Candy/Cherry and More! 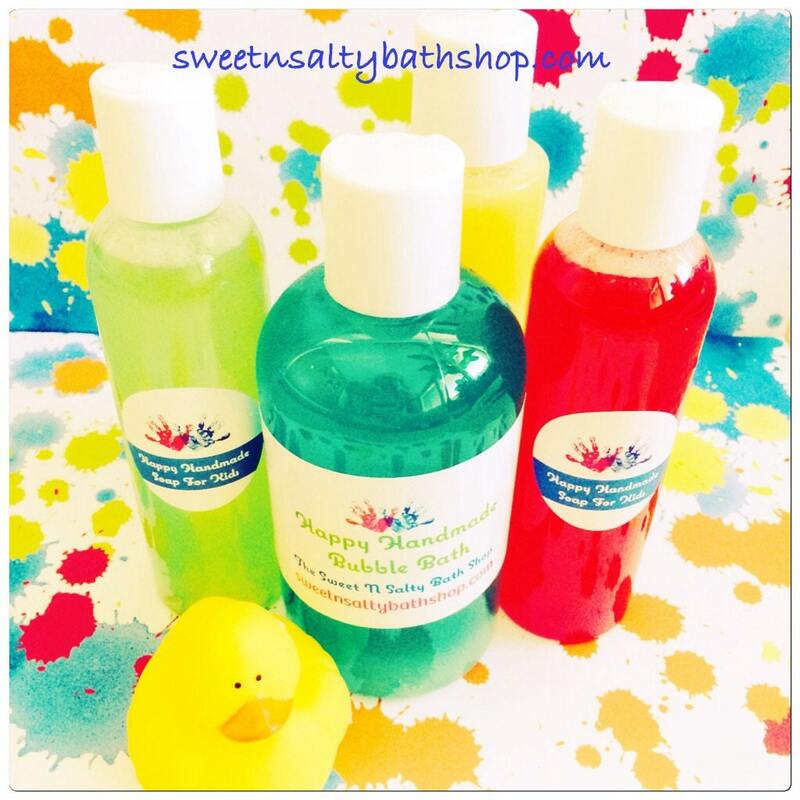 Kids will love taking a bath with these cute bottles of fun scents bubble bath? Each 4 or 8 oz. bottle Is filled with great smelling, kid friendly bubble bath. Choose from a variety of great smelling scents. 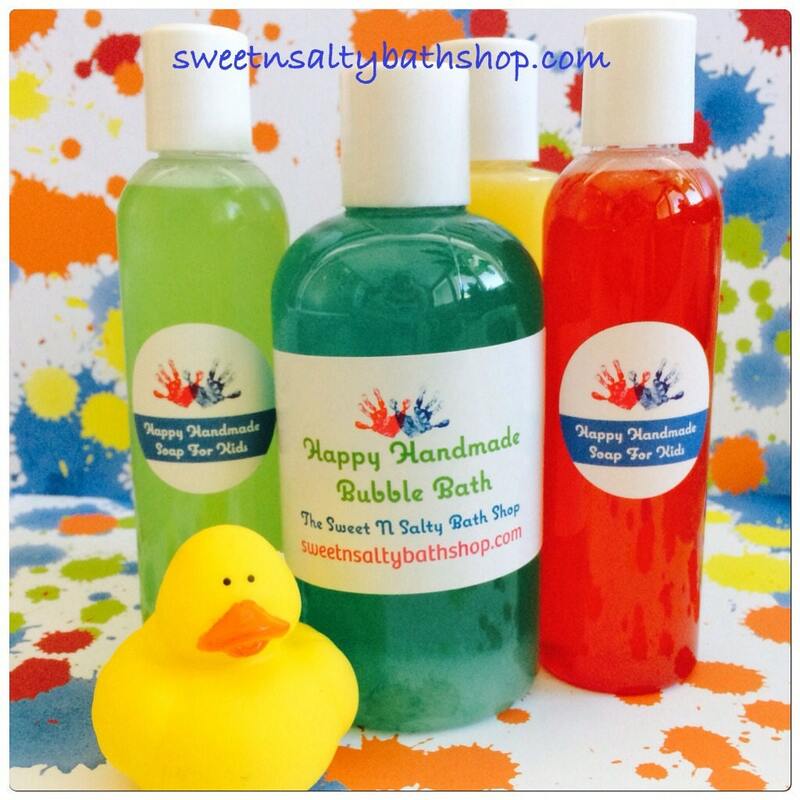 Each bubble bath will be colored to match the scent unless you specify otherwise. Glitter sparkles can be added by request. 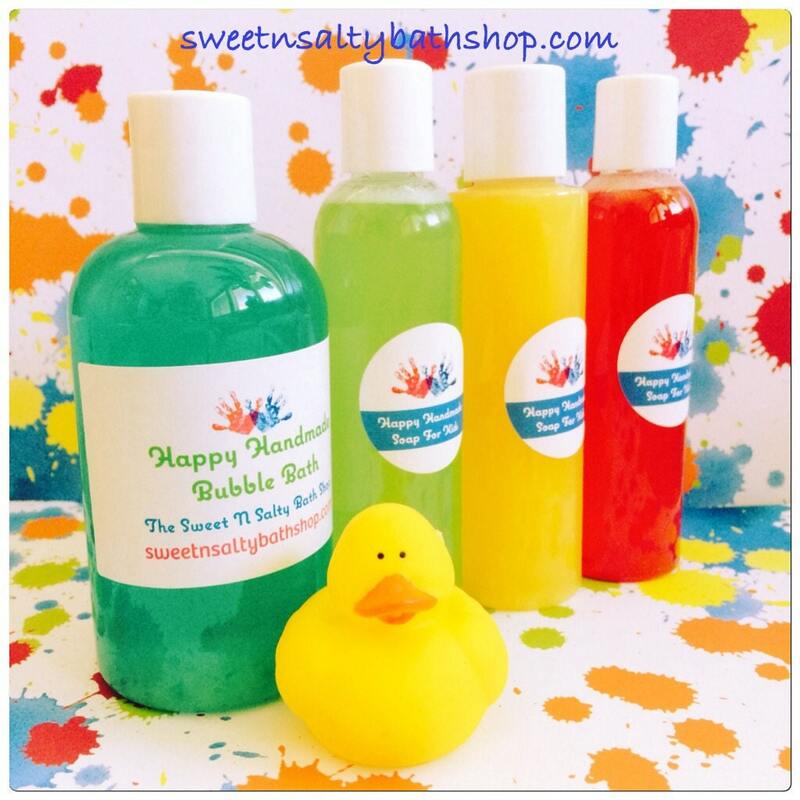 These are great ideas for party favors, carnival prizes, Birthday gifts and stocking stuffers. Also gives children a great insentive to bathe. Makes a great body wash too! This listing is for one 4 or 8 oz. bottle of body wash that comes nicely wrapped in a cello bag with ribbon bow. If ordering multiple quantities for favors, message me for pricing. Like us on Facebook for new products, coupon codes, give-a-ways and more!